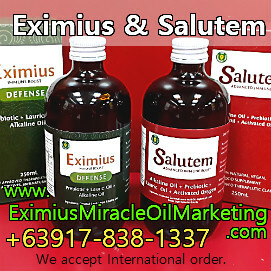 Eximius Oil and Salutem Oxygenated Oil has already help lots of people, may it be a minor health problem to a serious health condition, even those that has been told that their case is hopeless. These supplements aids ones body on recovering from different illnesses. These are just health supplements. We do not consider these as the cure. Although these are just health supplements, a lot of people are given hope to live a normal life again, or at least lessen the pain. And true to its mission, a lot are not living a normal life now. 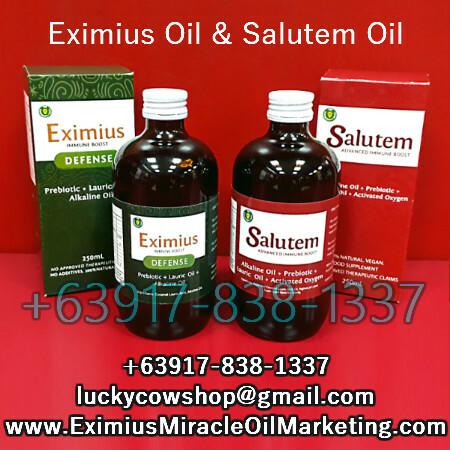 Good Morning po, mag inquire lang po ako ito, po bang Eximius and Salutem Oil ay for external use only or ito ba ay puedeng taken internally. Puede po bang igamot ito sa may gastritis. we have a cancer patient and will be scheduled for chemo soon, i would just like to ask if this will prevent it and how long it will take for the result?